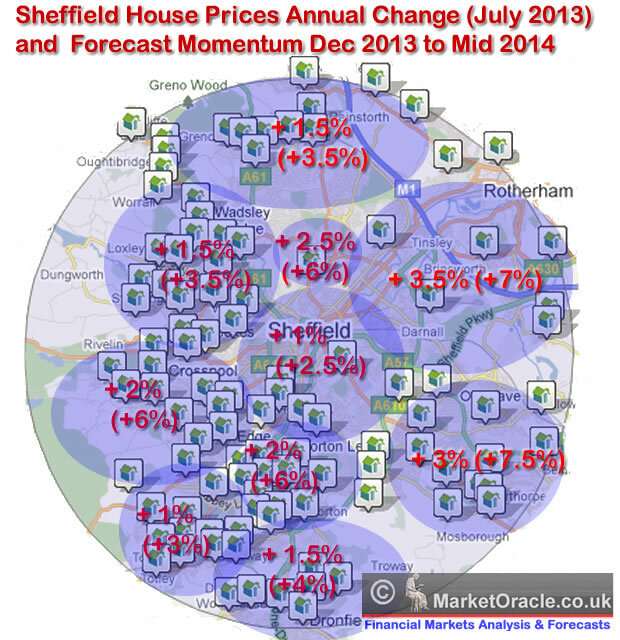 The below graph details my concluding forecasts for the annual rate of price change by area's of the city of Sheffield for the end of 2013, which is set against the actual price changes over the past 12 months (July 2013 Data). The forecast average for the city as a whole is approx 5.5%. It is important to consider school league tables both in terms of rankings and the trend in performance over several years. However, whilst the teachers of 'GOOD' schools can boast of their hard work, the truth is that it is the PARENTS who determine whether a school is good or bad and NOT the quality of teaching. The facts are that middle class parents go out of their way to educate their children including engaging in much extra curricular activity. Whilst parents of deprived area's tend to wholly leave it to the FREE state schools to educate, and pay little attention to extracurricular activities or other factors such as teaching behaviour and instilling discipline. So school league table trends are one of the best indicators for the best locations to live near such schools, under the umbrella of their catchment areas. Another point to consider is that the best schools are increasingly heavily over subscribed, this is as a consequence of the Labour run Sheffield City Council continuing the Liberal Democrats programme for deep cuts in Sheffield's education budget as the below graph illustrates that in nominal terms has seen the education budget already cut by 11% since 2010 and 17% in real terms for the year 2012-13 and with the budget for 2013-14 announced continuing the the deep cuts to 14% and 24%, (after inflation of 3% per annum). The impact of these cuts in child places in effect reverses the picture of more than a decade earlier when most of Sheffield's children could have expected to receive a place at their school of their choice at the application stage, with even more accepted on appeal, this was as the below graph illustrates by virtue of the fact that for many years Sheffield had a surplus of 5,000 school places (about 5%). However, over the past 2 years deep cuts in the budget in real terms has reversed the situation from an estimated 5,000 surplus places to a deficit of 5,000 places as of 2012-13, i.e. a cut of 10,000 school places through school closures and reductions in the number of classes running at exiting schools, against that which were available during 2010-11, the consequences of which is that schools are being effectively stuffed full to the rafters with the number of children per class now far exceeding the recommended guidelines for maximum class sizes which is resulting in the lack of school places at even catchment area schools. a. Buy a house well within the catchment area of their target school and that the new home is significantly closer to the target school than any other school. b. That the deadlines for school applications are met, so must time the house purchase inline with the application process else they will be sent to alternative more distant schools because of the huge shortage in school places that the city council in its wisdom is seeking to solve by super-sizing some existing schools such as Greystones Primary School, which actually increases the probability of NOT getting a place at the nearest school for instance at the higher ranking Dobcroft Junior School as in effect the catchment area for Dobcroft shrinks whilst that for the extended Greystones expands to soak up demand, which is NOT what the prospective home buyer had in mind! No one wants to live in fear in a high crime rate area, unfortunately for Sheffield it has plenty of high crime areas dispersed throughout the city and it is relatively easy for someone moving into Sheffield to fall into the trap of buying what on the surface looks like a great property at a great price but only to later discover that they have bought into a high crime rate area as focusing on the traditional indicators of avoiding deprived council housing estates and high turnover high immigration populated predominantly rental areas are not enough to avoid the fragmented high crime rate areas, as the most recent news of the murder of a 25 year old Pizza delivery man in the Southey Green area of Sheffield illustrates an extreme case of but what is no longer an isolated incidence as knife attacks are taking place at multiples times the rate of that which took place in years past. A pizza delivery man found stabbed to death at the wheel of his car was making his final delivery before starting a new job. Thavisha Lakindu Peiris, 25, was found dead by colleagues in his car in Southey Crescent, Sheffield, at 22:30 GMT on Sunday. 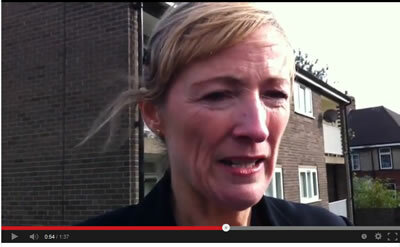 Det Supt Lisa Ray said he had lost his life in the "most brutal of fashions" in an apparently motiveless crime. Therefore an analysis of area crime rates and trends is one of the critical indicators for determining a good area to live in. 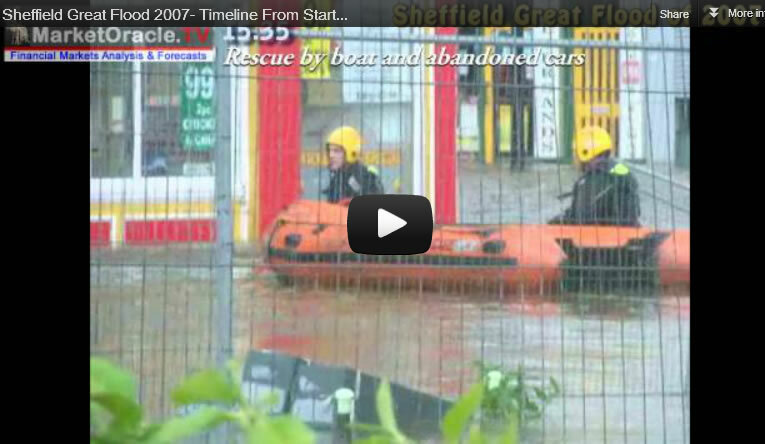 Up until June 2007 when Sheffield was hit with the Great Flood, many Sheffielders had never taken the issue of flooding seriously, however that no longer applies where the path of Sheffield's many rivers has negatively impacted on house prices that are deemed to be at risk of flooding and therefore likely to incur difficulty in insuring which effects both affluent and the poorer areas equally, where a distance of just 50 metres can effect similar houses to the extent of as much as 25% in price, which could entice some buyers to purchase at what seems like a bargain price in a good area without fully appreciating the greater risk of flooding and the problem that they encounter in insuring and when trying to sell. The same holds true for all of the UK's major cities that are built on canals and river water ways. Therefore an analysis of flood risk area's is very important in determining the best areas to live. House prices tend to crash hardest in the deprived areas, as they are last to join the boom and first to feel the bust. Whilst affluent 'good' areas are nearly always in demand and thus price falls are cushioned. This also means that poorer areas are likely to see a greater percentage gain in prices as they are starting from a lower base so the headline changes in house prices is not a good indicator, rather the average price of houses sold i.e. you get what you pay for and therefore a flatter trend in house prices suggests a better area than one of a steep trough. The affluent areas attract greater competition for properties than the less affluent areas, especially as they are the prime locations for those migrating from the more affluent areas of the UK such as London, i.e. someone moving to Sheffield from London is approximately 20X more likely to buy a property in S10 or S11 than S5. Thus these considerations need to be taken into account when gauging whether a house is over priced or not, than comparing like for like within the city. Areas with more social housing (council estate and housing associations) will tend to see more social problems as owner occupiers are more likely be working and take more pride in their property and area and behave better towards neighbours than tends to be the case with tenants. Continuing high immigration increasingly results in the previously settled population migrating out of these areas towards more settled areas of the city i.e. which mainly means the more recently built suburbs. This tends to result in demand for middle market properties in the suburbs as well as for the high immigrant areas, where particularly for rental investment purposes rather than residencies for own occupation. In terms of best areas to live, more settled and predominately high privately owner occupier areas of the city are the most favourable in terms of best areas to live destinations. Areas of the city populated by students may not be particularly high crime rate areas, but may prove unsuitable for families as the resulting consequences are similar to that of any other high rental areas of the city such as the high migrant areas. Have an eye on the future, whilst you may not be able to afford properties in the most affluent areas you could benefit by buying in the neighbouring area's that will likely become part of the affluent area's as they expand. All of the key influences such as good school catchment area's come into play for the up and coming areas as well. The below map details which areas of Sheffield should be avoided and which areas should be favoured in terms of the best places to live. 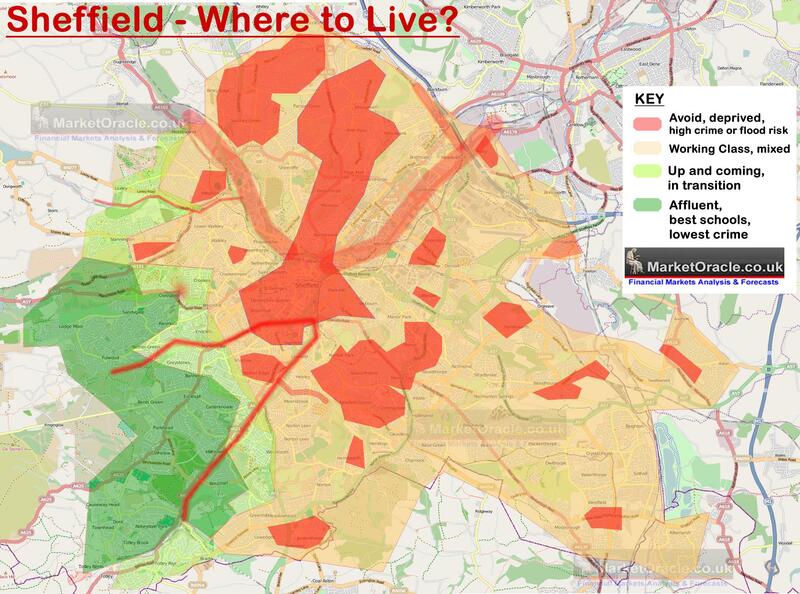 Obviously the amount of financing available will play an important factor in determining the choice of area's, but at a minimum the RED areas should be avoided as people moving to Sheffield, purchasing a property for their own residency in a Red area will soon come to regret their decision. The large expanse of orange area's are as a consequence of the size of Sheffield's public sector and the private sector that directly relies on it, that continues to see deep cuts in local government spending, this also means that there is a continuing large supply of properties in these areas of Sheffield which acts to depress average house prices that masks booms taking places in pockets of the city and thus offers many opportunities towards the middle end of the property market. Meanwhile prospective home buyers can expect a huge jump in financing requirements to purchase a property in the affluent areas of the city (Dark Green) which are situated in the the South West of the city as these areas will have experienced little in terms of the impact of the economic depression with the consequences and in terms of expected house prices is that just like many areas of London, these areas are already trading near their pre-crash levels as these are the areas that will be those that are in greatest NATIONAL demand, just as many parts of London are in great INTERNATIONAL demand (as high as 50% of properties in many areas of London are bought by foreign investors). 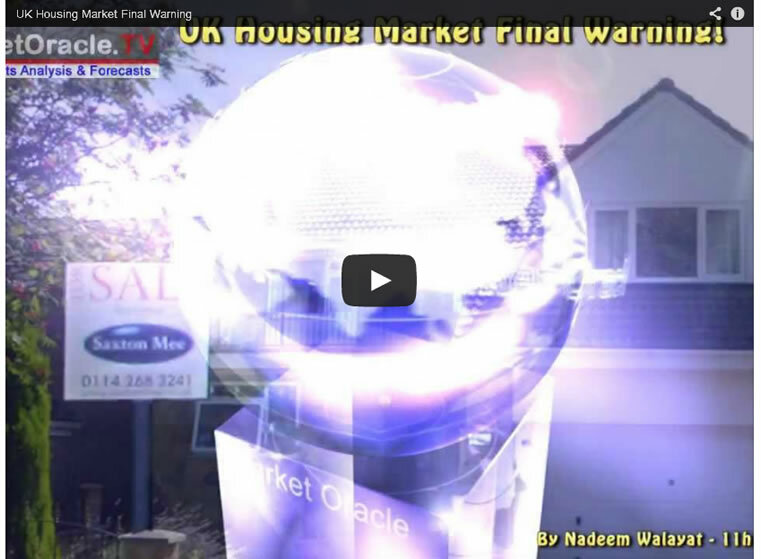 In terms of the national picture, the trend towards 10% per annum house price inflation is now imminently materialising as originally forecast in Mid August 2013 - UK House Prices Bull Market Soaring Momentum, 10% Inflation by October? 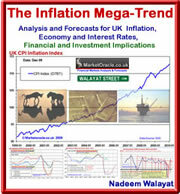 In terms of forecast price momentum for Yorkshire and Humberside, this region clearly lags the national average as a consequence of deeply rooted socialist economic tendencies that results in a much larger public sector, and conversely smaller private sector, the consequences of which has meant a deeper impact of government spending cuts and less developed private sector to fill the gap than for instance the South East region. Therefore I continue to expect Y&H to lag the UK average by about 3%, thus the region continues to target an annual price gain momentum of 7% per annum by the end of this year. Ensure you remain subscribed to my always FREE newsletter to receive my ongoing in-depth UK house prices analysis in your email in box.